Eleven teams are competing for the EWC Dunlop Independent Trophy at the 8 Hours of Slovakia Ring, the 4th round of the FIM EWC 2017 to be held in Slovakia tomorrow (Saturday). 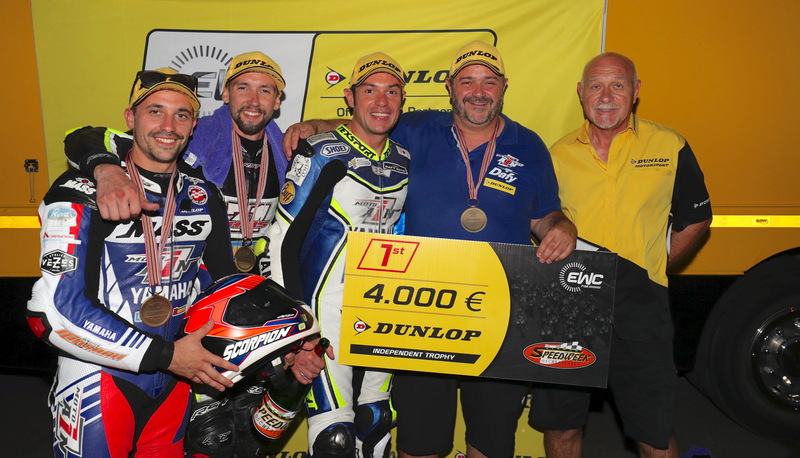 €20,000 worth of prize money will be shared out among the top Dunlop-shod private teams past the finish line. The winner will pocket €4,000. A sum of €3,000 will be awarded to the runner-up and €2,700 to the second runner-up, with progressively smaller amounts given out in order of arrival, down to €500 for the 10th team at the race finish on the Slovakia Ring circuit at 9.30pm on Saturday. Post-qualifying, Moto Ain CRT is the top EWC Dunlop Independent Trophy team, having placed 6th on the starting grid. Moto Ain CRT was also the fastest Superstock team in qualifying, and tops the standings of the FIM EWC Superstock World Cup, which will be awarded after the finish of the 8 Hours of Slovakia Ring. 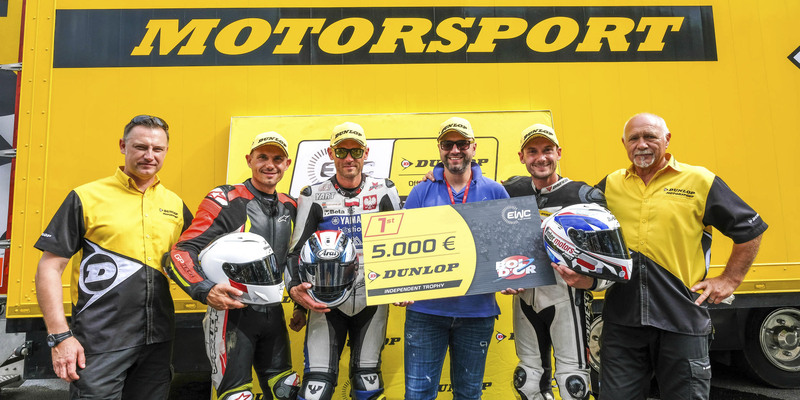 Four other EWC Dunlop Independent Trophy teams – Völpker NRT48 Schubert Motors by ERC, Tati Team Beaujolais Racing, Ecurie Chrono Sport and Team April Moto Motors Events – are well positioned on the starting grid in Slovakia. 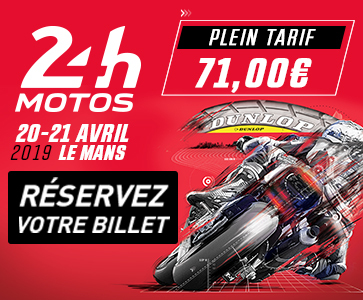 The EWC Dunlop Independent Trophy has been renewed this season by championship promoter Eurosport Events, Dunlop and the organizers of each FIM EWC 2016/2017 race, and is open to all private teams. Participating teams must use tyres designed and supplied by Dunlop Motorsport for each race.